Breeders’ department is the first step in our poultry production chain. In this facility, the “parents” of the soon-to-be chickens can breed in a completely natural way. Breeding process requires utmost attention to hygiene by operators, constant temperature and humidity, and a carefully balanced diet, which is exclusively made of top-notch raw materials. The due care paid from the early steps of the production chain allows for the traceability of the whole production process, from the egg all the way to supermarket counters. Since before birth, animal wellness is of paramount importance for Fileni. 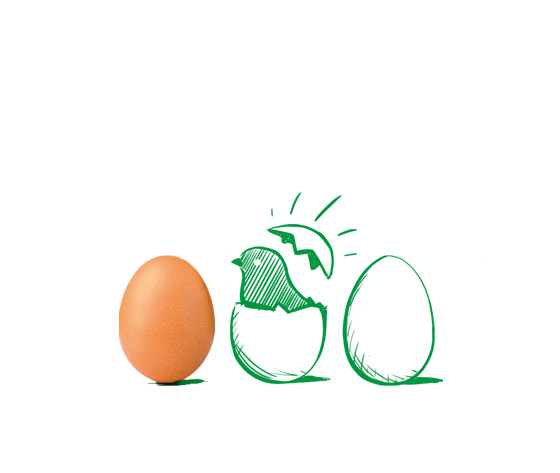 Once laid, eggs are transferred to an incubation plant where they will stay for 21 days (three of which in the hatcher). During these days, eggs are stored in optimal temperature and humidity conditions in order to ease proper embryo development. Ongoing controls ensure the incubation process is carried out properly. The same day the eggs hatch, chicks are sexed, vaccinated and sent to the breeding farm by means of trucks, which are suitably equipped to meet the delicate thermal needs of the newborn chicks. As we said, animal wellness is a priority for us: all our chickens are strictly barn-raised and monitored on a daily basis by veterinary staff and zootechnical experts. Use of sunlight illumination in the breeding farm allows to comply with the natural sleep-wake cycle, thus ensuring the psycho-physical balance of the chicken. Feeds, which are carefully selected and exclusively coming from Fileni Group’s feed mills, are given to the animals in respect of the biodiversity of each breed, because every chicken has its own specific diet tailored on its own needs. By means of cutting-edge plants, solar panels for the production of electricity and filtering systems for dust and odor suppression, we are able to provide for environment- and landscape-friendly breeding facilities. You can call it development only if it is 100% sustainable. HOW DOES A NEXT GENERATION BREEDING WORK? The day after they are born, already-vaccinated and perfectly healthy chicks reach the breeding farm and stay there until they are sent to the processing plant. For their entire stay within the facility, animals are taken care of and monitored by our personnel made of veterinarians and zootechnical experts. A longitudinal ventilation system provides for a proper air exchange so as to keep the environment dry and healthy. Roof and perimeter walls of the sheds are insulated in order to minimize the heat exchange with the outside and ensure chickens’ wellness, thus allowing at the same time a relevant energy saving. The litter, gathering up sludge and organic waste during the chicken’s whole life cycle, is collected at the end of breeding cycle, when the shed is emptied. After being loaded on proper insulated containers, it is shipped to disposal centers in order to be converted into natural fertilizer. As soon as the litter is removed, sheds are washed, disinfected and set up to host new chicks. All the food giving chickens the proper nutritional intake is produced and stored in the feed mill. Specialized technical personnel is required to design the most suitable diet for each animal type while performing, at the same time, a strict check on foodstuffs. Soy, corn and wheat are the main ingredients of our feeds. The production of traditional, non-GMO, organic feeds is strictly separated in time and space in order to prevent any kind of contamination. Slaughtering and subsequent processing plants represent the areas where animals turn into food. The H&S standards of workplaces and employees and the respect of weather conditions and animal holding times, as well as the organized and well-managed sequence of production operations are of paramount importance for consumers’ health protection. In the ultramodern plants of Cingoli and Castelplanio, Fileni is committed to process a very wide array of products ranging from whole chickens meant for butcher shops, to the delicious dishes of the Sempre Domenica line, born to satisfy even the most demanding tastes. Production plants comply with UNI EN ISO 9001:2000 regulation providing for highest quality-assessment standards. Products are inspected on a daily basis according to a control plan aimed at complying with expected microbiological standards. Equipment and machines are washed and disinfected daily and inspected on a regular basis. All productions are divided into batches, keeping the breeding farms and different processing days separate in order to guarantee traceability. To Fileni, respect for tradition is a pivotal value. That’s why we work every day to afford the luxury to combine the most advanced technologies with a craftmanship-oriented production process. Roast-tying or the preparation of the delicious Bontà filzate (Kebabs) are just some of the processes we perform by hand, because we are well aware that no machine is ever going to match people’s passion. 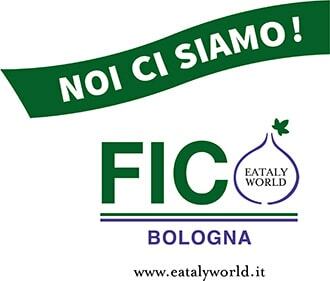 With Italians changing their tastes and trends in food by the day, Fileni is here to fulfill the expectations of all the people who have been trusting us for so many years. An experimental kitchen equipped with common appliances as well as machines simulating productive activities on a small scale, is the setting where our chefs work side by side with the Research & Development department in order to give you increasingly new and tasty recipes every day, with no room for preservatives. How can we be so sure that our recipes are so good? Easy, we taste them in the first place! Panel tests are arranged on a weekly basis for our products, which are being tasted for the tiniest improvements to add to the recipes. After all, if we don’t like them in the first place, how would you possibly like them? We are the first who want fresh product to hit your table. For this reason, we have designed a detailed, ultramodern and fully automated distribution system allowing us to manage and streamline every step of the logistic process. Data are recorded by means of an advanced order acquisition office, sending them over in real-time to production line for processing. By relying on this process we can make sure of producing the exact quantity of food to be actually sold, thus eradicating wastes and inefficiencies. Orders are then transferred to the warehouse, where they are allotted in incoming order among the company vehicle fleet and sent to their own recipients. This procedure allows to manage orders effectively and to guarantee timeliness and freshness to customers. Finished products travel on refrigerated vehicles where the cold chain is constantly monitored, to be delivered to sales outlets directly or through distribution platforms. In order to protect consumers’ safety, Fileni provides for traceability along the whole production chain of every single product. Clear and detailed labels allow for instant understanding of any information needed for a fair and conscious consumption. 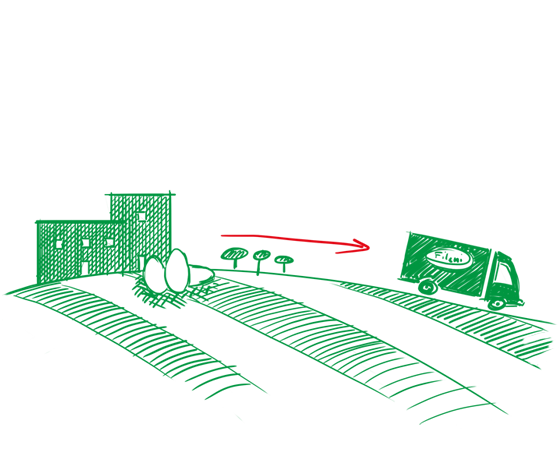 As a matter of fact, Fileni has chosen to comply with the regulation on voluntary labeling provided for by UnaItalia. It is not just a question of label: the CSQA certification (1993, 1996) awarded to almost 300 Fileni products allows the company to actually strike a deal with the consumer. From animal feed production to product packaging and all the way through the most cutting-edge breeding techniques, Fileni oversees every production step and provides for the constant traceability of the production chain. All raw materials undergo the strictest controls: chemistry and microbiology laboratories work side by side to provide consumers with all the guarantees they deserve. The bacteriological analyses carried out on products and workstations aim at assessing compliance with H&S standards in order to prevent health risks, whereas chemical analyses provide meat nutritional facts by establishing the quantity of proteins, fats, carbohydrates and ruling out the presence of harmful substances, and bio-molecular analyses check for the absence of genetically-modified organisms in corn, soy and in the overall, non-GMO Fileni production chain. In the end, anatomopathological analyses help us detect possible breeding-related issues by giving a vital contribution to daily improvement. Fileni means quality and traceability: no product leaves the company if we are not absolutely positive about its tastiness. 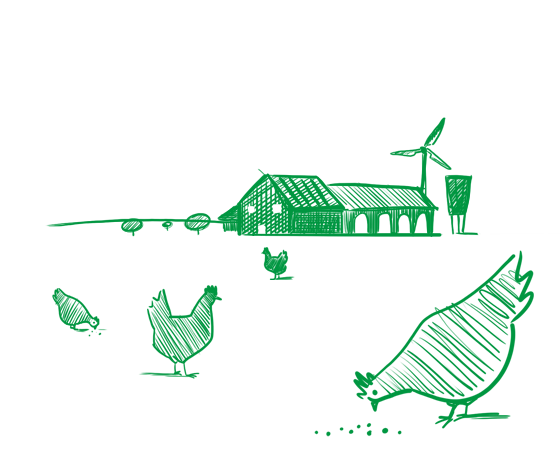 Food certification is a further guarantee we have chosen to give our customers. In 1998, we became the first Italian company to be awarded with a system certification according to UNI EN ISO 9002:1994. Ever since, we have achieved many other accreditations including the prestigious European IFS certification, thus proving our constant commitment to quality. 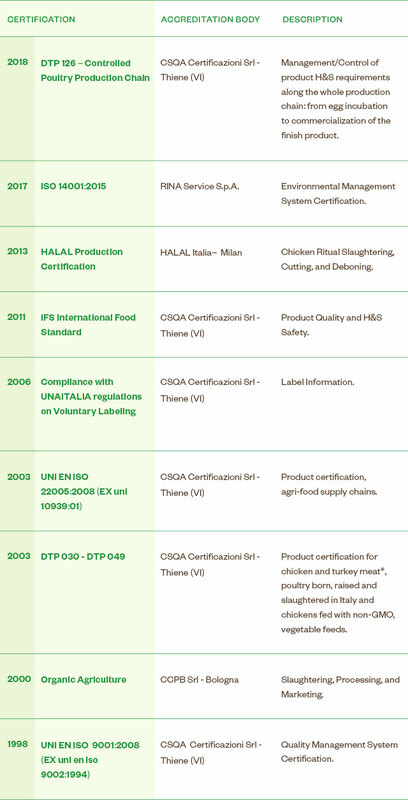 These food and process certifications allow us to guarantee the highest quality standards consumers got used to. 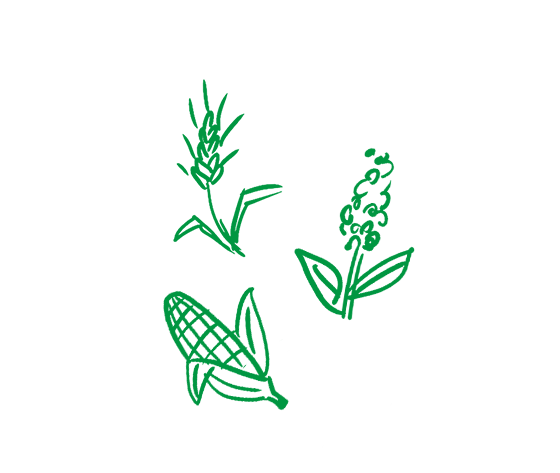 Since the very beginning, Fileni has been one with the environment. 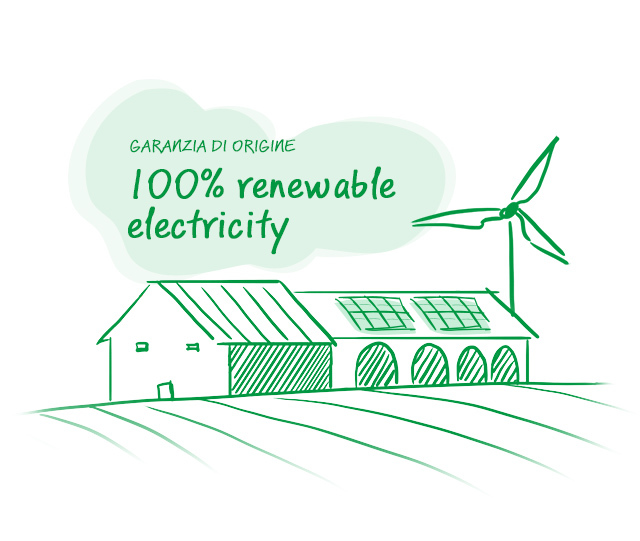 We have made conscious choices by using renewable sources and alternative energies (especially photovoltaic and cogeneration systems) and by achieving the GO (Guarantee of Origin) Certification, thus proving that our whole power consumption and purchase come from renewable sources. As a proof of our commitment, we have recently achieved the UNI EN ISO 14001:2015 certification – an international, voluntary-participation regulation setting forth the requirements of an environmental management system. – implementation and daily preservation of activities, procedures and entries envisaged by 14001 requirements.